ANTS Podcast mostly works the "deep finds" angle, but the time has come for a healthy dose of hit worship with a guest episode from DJ EJ, a longtime Fayetteville music scene staple. He was a station manager at KXUA, where he hosted Wheels of Steel, a show that spotlit local DJs. The show ended a few years back but lives on in the form of a party series, which has become one of EJ's best known projects. He's currently the music director for Art Amiss, a local organization dedicated to art, fashion and music in Arkansas. Check out the compilations he's curated here. Sequin Ambrosia: House Music of the Ages was a series I started during my tenure as a staff writer for Stylus Magazine, which closed its doors in 2007. This particular entry from 2005 went heavy on the Berlin-centric minimal house or "microhouse" which was popular at that time. 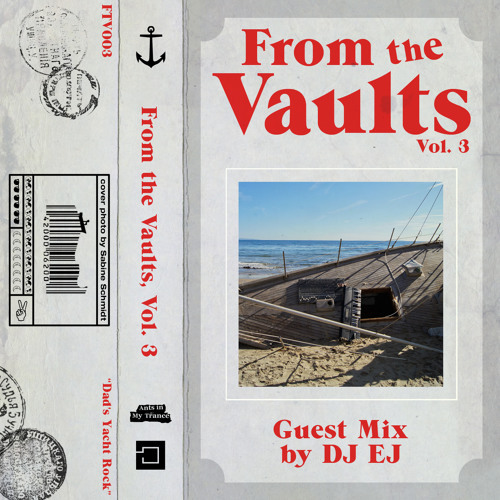 From the Vaults is an ANTS supplemental series spotlighting older mixes by Baby Armie and occasional guests. From the Vaults is a new ANTS supplemental series spotlighting older mixes by yours truly (and perhaps the occasional guest too). Here's a short mix I made as a sampler for Bombay Brouhaha, a vintage Bollywood disco/funk party I threw back in 2010. The party was a huge success—definitely the highlight of my short-lived foray into party promoting.